NICE AND EASY: Is this a dome, an antenna, or a dish? 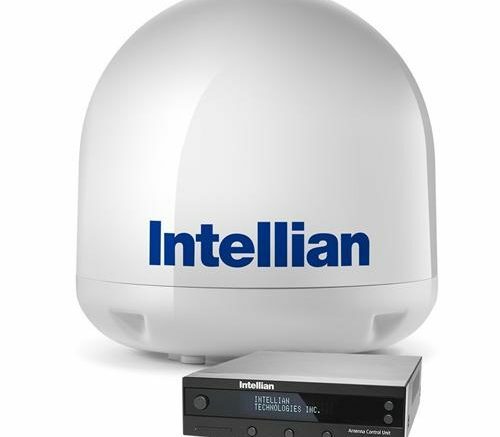 Listen to different people talk about marine satellite dishes and you’ll hear a lot of confusing words. You might hear the system pictured above described as a dome, an antenna, or a dish. What’s the right way to talk about it? saying anything about what’s inside. It’s still kind of ok to say it if everyone knows or nobody cares what’s inside though. When you talk about dishes and antennas though, the story gets a little more complicated. Technically all satellite dishes are antennas. An antenna is anything that receives radio-frequency waves. A satellite dish does that, so it’s an antenna. We use the term “dish” to refer to a parabolic antenna, a specific kind of antenna that receives a lot of signal and focuses it all on one tiny point. So, technical people will use the word “antenna” a lot especially if they’re in the satellite industry, because it’s understood what kind of antenna it is. Regular folks use the word “dish” because most folks think of TV antennas for getting land-based signals and parabolic antennas for getting satellite. End of the day though, the most important thing is that you are understood, so use whatever term you think will get the person near you to figure out what you are saying.